Thanks Cindy for the “food for thought”. 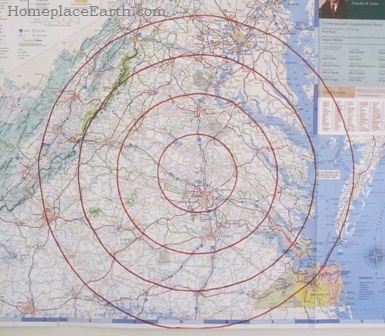 I was raised in the Shenandoah valley and from Richmond I would have headed south. Don’t get me wrong but, as you well know the further south you go the more farmers there are. I suppose if your starting point is Virginia then you’ve got a pretty good source of food but, just not in the cities. If you were in New York state for instance THEN that would have been a lot more trouble for your students. I think what you started there is a big plus because young people take it all for granted. This will get them thinking. America isn’t a self supplied food source anymore. We get food from different states and a lot more today from other countries but, if the fuel would dry up for one reason or another, that would be it. So, “Thanks” for getting all of us thinking about it. Carroll, I used to think fresh food from the farm was not available in the cities until I visited New York City in 2002. 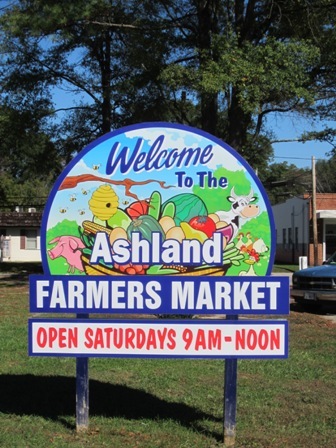 There was a greater variety in the farmers market we visited than anywhere around me in the country in Virginia. The farmers markets have gotten better here in the years since. There was plenty of good food in NYC but it was trucked longer distances. If fuel was scarce the farmers will look for markets closest to the farm. A very good class project young kids need to know. Gary, one of the advantages of teaching at a community college is that the students weren’t necessarily young. My students ranged from age 18 to senior citizens, with most probably in their 20’s to mid-30’s. Having students with some life-experience behind them was a boost to class discussions. Loretta, it does give you a better understanding of history and the importance of trade routes. I read somewhere that one of the reasons for the seasonal gatherings of the American Indians was to trade with other tribes. The seaside Indians would trade fish with the inland tribes for certain things they had. More emphasis on local/regional diets would mean less emphasis on industrial agriculture, making room for more diverse diets. I am very much involved in the weight loss industry and I truly believe that ‘local’ foods are the freshest and have the most nutritional value.